BERLIN – BMW's position as the ultimate profit machine may be under threat, as the luxury carmaker is poised to lose its profitability lead to Volkswagen AG's Audi as slowing sales growth and increased spending on the new 3 series model erode margins. BMW's operating margin may slip to 9.5 percent in the third quarter, below Audi's 13 percent and down from 16 percent in the previous three months, analysts estimate. "It's a signal that the very good quarters are over," said Juergen Pieper, a Frankfurt-based analyst at Bankhaus Metzler. "Audi has the better momentum and that will likely continue for the next two to three quarters." BMW is spending about 500 million euros in the second half of 2011 to introduce next generations of the 1-series compact and the best-selling 3-series sedan. Slowing demand for high-end cars may further erode earnings. BMW is projected to report earnings before interest and taxes of 1.59 billion euros ($2.17 billion), when it releases third-quarter figures on Thursday, according to the average estimate of 16 analysts surveyed by Bloomberg. Sales are forecast at 16.8 billion euros. H.R. Owen Plc, a London dealer of BMW, Aston Martin, Ferrari and Lamborghini vehicles, predicted a loss in the second half because "demand conditions in the luxury-car market have deteriorated in recent weeks" on turbulence in financial markets, the company said. BMW stock has dropped 16 percent since reporting second quarter earnings on Aug. 2. Over the past quarter, sales growth slowed to 9 percent from 18.5 percent in the second quarter, as the 1 and 3 series get renewed and the aging X5 SUV faces the revamped Mercedes-Benz M class. Deliveries of all three models declined in the period, according to BMW data. BMW and Daimler AG's Mercedes have recently emphasized their ability to adapt to slowing markets. Daimler CEO Dieter Zetsche said Oct. 27 that the automaker's production flexibility means it "can react quickly to future developments." BMW's production chief Frank-Peter Arndt said last week that the company is prepared to reduce production volumes 20 percent to 30 percent if necessary. "In our increasingly austerity-driven world, prestige badges such Mercedes, BMW and Audi could become a real negative," said Simon Empson, managing director of Broadspeed.com, a UK discount auto Web site. Softer demand is leading to price cuts for luxury cars. BMW's 3 series, which will be replaced by a new version in February, is being offered at discounts of 20 percent to 25 percent, and the new 1-series compact is already getting marked down by about 11 percent, said Empson. Discounts on Mercedes vehicles are rising and currently range from 15 percent to 25 percent, while Audi cars are being offered at 5 percent to 8 percent off list price, he said. Mercedes's third-quarter Ebit fell 15 percent to 1.11 billion euros on spending for new models such as the B-class compact. Audi's Ebit rose 51 percent to 1.42 billion euros, boosted by demand for the Q5 and Q7 SUVs, according to VW data. 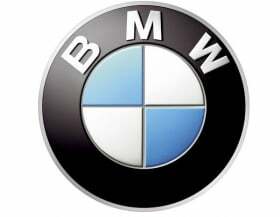 BMW's Ebit, which includes its motorcycle unit and financial services operations, is projected to jump 34 percent from last year's 1.19 billion euros, according to the estimates. BMW's auto unit posted record margins of 14.4 percent in the second quarter, beating Audi's 11.8 percent and Mercedes's 10.7 percent. Even with profit margins narrowing, BMW has widened its sales lead over Audi and Mercedes, which have both vowed to overtake the luxury-car leader. The company delivered 1.02 million BMW-brand vehicles after the first nine months of 2011, compared with Audi's 973,200 and Mercedes's 919,288. The luxury-car maker is targeting record sales of more than 1.6 million BMW, Mini and Rolls-Royce autos this year. The overhauled 3 series should help BMW maintain its sales lead. The best-seller is projected to help boost the brand's deliveries by 9.3 percent to 1.47 million next year, according to IHS Automotive. As a result, Audi's gap to BMW will likely widen to 139,700 autos from 97,400 in 2011. Mercedes may get closer, buoyed by a new line of compacts. IHS forecasts Mercedes trailing BMW by 108,700 vehicles in 2012, closer than the 110,500 this year. All three manufacturers are better positioned to weather a slowdown because they have more opportunities to boost sales because of their image with consumers, said Juergen Meyer. "In a market contraction premium carmakers can woo customers away from mass-market brands with cheaper special editions; the reverse isn't possible," he said. "Compared with VW, Toyota and Daimler, BMW has lower fixed costs, which would be a clear competitive advantage in the event of a recession."